Introducing DURAGADGET's fantastic new clutch bag style case for your tablet! 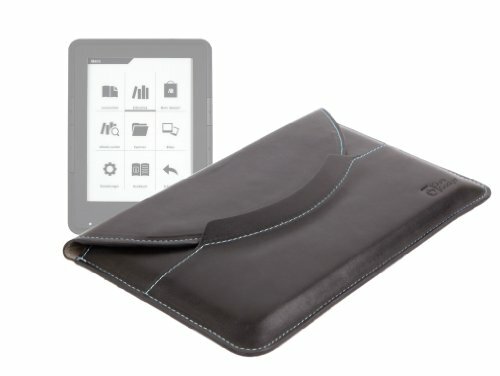 The cover protects your tablet whilst not in use against dust, scratches and other accidental damage but allows you to use your tab as intended without the case. Featuring easy closure and a pull tab for easy removal of your tab from the case, this slimline and lightweight case is ideal for travel and is disguised as a clutch bag so you can stay fierce and stylish with no need to worry about your tablet. The PU leather exterior with electric blue stitching creates a classy executive appearance whilst the soft cushioned faux suede lining provides protection and gently buffs your screen. Thousands of tablets are broken every year from inadequate protection - make sure you don't become a statistic! This product is covered by our simple no quibble returns policy and our 1 year guarantee.